Your TIN, Not Mine! - McKirdy, Riskin, Olson & DellaPelle, P.C. 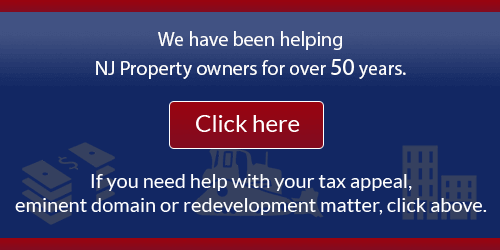 Home » Property Tax Appeal » Your TIN, Not Mine! A recent Tax Court opinion focused on a technical issue not normally involved in a real estate tax appeal matter. New Jersey Tax Court Judge Jonathan A. Orsen, J.T.C. held that a tax refund check payable to an attorney trust account should be registered to the attorney’s taxpayer identification number (TIN), not the party’s TIN, in order to comply with federal reporting requirements. This matter arose when Plaintiff, Community Bank of Bergen County, filed tax appeals in 2015, 2016, and 2017 for two properties in the Borough of Maywood. The parties agreed to settle in 2017. Pursuant to the agreement, the town was to issue the refund check to plaintiff’s attorney’s client trust account. Before issuing the refund check, Defendant’s Tax Collector requested counsel’s TIN number to comply with federal reporting requirements which requires that a Form 1099 be issued for reporting and taxation. Plaintiff’s attorney responded by noting that since the firm was not entitled to the refund, the relevant TIN number was the plaintiff’s. Plaintiff then moved to Enforce Litigant’s Rights pursuant to R. 1:10-3, which was an attempt to direct the Borough to send the refund check to plaintiff’s attorney’s client trust account while using plaintiff’s TIN. Defendant responded, again, that in complying with New Jersey and federal tax and reporting requirements that the attorney’s TIN was required. Plaintiff’s attorney responded that their firm’s trust account was not a payee attorney, therefore it did not have a TIN to provide. The matter was forwarded to the Court for resolution. Here, the Court was required to answer two questions: 1) when is a Form 1099 necessary and 2) is an attorney a payee when a check is made to said attorney’s client trust account? I.R.C. § 6045 and Treas. Reg. § 1.6045-5 note that a person who performs an activity for gain, such as making a payment to an attorney to settle a matter, is required to issue a Form 1099 information return. Also, Treas. Reg. § 1.6045-5(d)(4) informs that an attorney is considered a payee on a check written to that attorney’s client trust account. However, an attorney is not a payee when the check is made “in care of” the attorney’s firm or if the attorney does not negotiate the check. The Tax Court held that the party’s attorney is considered a payee on a check written by the defendant Borough to Plaintiff’s attorney’s client trust account. As a result, the attorney was required to furnish Defendant with its TIN, and Defendant Borough was required to issue a Form 1099 information return. The Tax Court’s opinion in Community Bank of Bergen County v. Borough of Maywood may be found here.